……. The originally planned renaissance depended on plants that were larger-than-ever and safer-than-ever. The French company Areva proudly announced the EDF reactor. “The first two EPR projects, in Olkiluoto, Finland, and Flammanville, France, were meant to lead a nuclear renaissance but both projects ran into costly construction delays” and so many billions of euros over budget that Areva was virtually bankrupted, but was bailed out by the French government. “Construction commenced on two Chinese EPR units in 2009 and 2010. The Chinese units were to start operation in 2014 and 2015, but the Chinese government halted construction because of safety concerns.”……. The Canadian “Advanced CANDU Reactor” (ACR) never saw the light of day either, and led to the sale of the AECL CANDU division to SNL-Lavalin for a paltry $15 million in 2011. ACR was supposed to be another cornerstone of the Nuclear Renaissance, originally planned for either 1000 MW or 700 MW. It did not make it out of the womb. 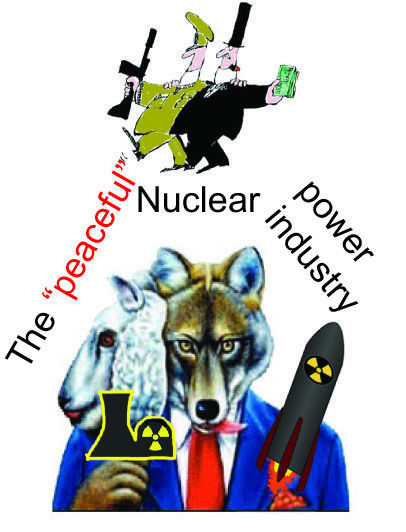 Nuclear Renaissance II So now the nuclear industry, imagining itself rising from the ashes of its own calamitous failure, is launching a NEW nuclear renaissance based on “Small Modular Reactors” (SMRs). There is no precise definition of an SMR except that it should be no more than 300 MW in power output, and could be as little as 10 MW or less. …… There is a bewildering variety of SMR designs, using uranium, plutonium, or thorium in the fuel, using molten salt, liquid metal, or ordinary water as coolant, but all intended to run for a long time with a replaceable core. Already the Canadian government (which has, at least tentatively, bought into this SMR scheme through its adherence to “NICE: Nuclear Innovation = Clean Energy”) is scouring the country for possibilities. In Alberta dozens of SMRs might be employed to “cook” the oil sands in order to extract the bitumen. In the northern regions SMRs might be used to replace diesel generators, especially in arctic and subarctic conditions. In New Brunswick SMRs could be sold to appease those who have over the years clamoured for a second Lepreau. Due to their high cost relative to other generating options, no new nuclear power units will be built in the US, an Exelon official said Thursday. “The fact is — and I don’t want my message to be misconstrued in this part — I don’t think we’re building any more nuclear plants in the United States. I don’t think it’s ever going to happen,” William Von Hoene, senior vice president and chief strategy officer at Exelon, told the US Energy Association’s annual meeting in Washington. With 23 operational reactors, Exelon is the US’ largest nuclear operator. Von Hoene’s stance includes so-called small modular reactors, or SMRs, and advanced designs, he said. “Right now, the costs on the SMRs, in part because of the size and in part because of the security that’s associated with any nuclear plant, are prohibitive,” Von Hoene said. Le Monde 16th Sept 2018 [Machine Translation] Nuclear: In Flamanville, the welds of the discord. 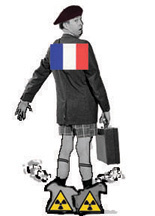 The manufacturing difficulties of the French EPR have cruelly recalled the pitfalls that threaten the tricolor nuclear industry: an extremely ambitious initial vision and implementation difficulties with heavy consequences. At the beginning of the year, problems with essential welds at the Flamanville reactor will lead EDF to re-evaluate the costs and delays of the project. While the group’s management hoped to start in early 2019, it will be necessary to wait until 2020 to see the EPR be connected to the network. But things got complicated a few weeks later. 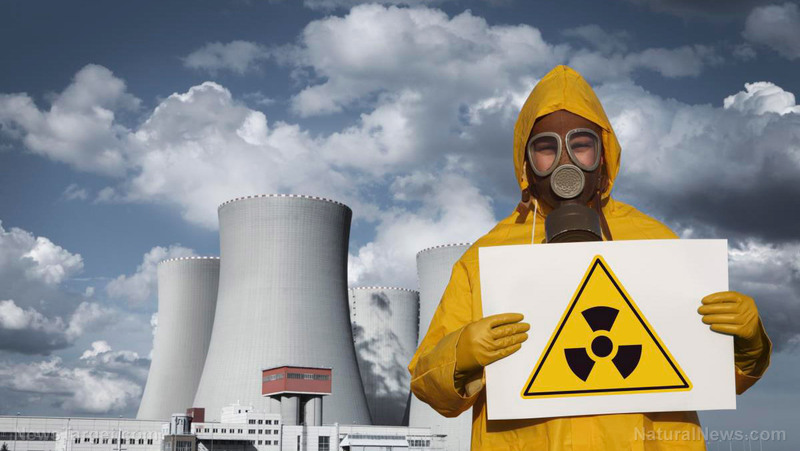 The extensive examination of the welds reveals that a large part of them do not comply with the standard required by EDF, or even the regulations required for pressurized nuclear equipment. As a result, the group has to take back fifty-eight welds, knowing that a single weld represents eight weeks of extra work. Who would bet 60% to 70% of its heritage on a technology that we still do not know if it works, while it’s been ten years that we try to build it? “, He launches in front of the deputies in 2016. This is the heart of the problem for EDF: how to finance new reactors? For Hinkley Point, it took considerable resources, even though EDF won a gold contract with the British state: for thirty years, the French group will sell its electricity at a guaranteed rate, twice the current price electricity! In other words, British consumers will see their bill increase. In fact, most countries that continue to build nuclear power can only do so with a strong commitment from the state and a guaranteed income for private investors. are talking about an investment over a century. We are in a period in which people want shorter-term returns, even in infrastructure, “says Emmanuel Autier of Bearing Point. very important part of construction. A listed company can not wear that on its balance sheet in a massive way, “agrees Valérie Faudon, SFEN. “It will be necessary for the state to play its full role by creating a new regulatory framework,” admits Xavier Ursat. In other words: to sustain the EPR – and make survive EDF – it will be up to the state to guarantee the investments and consumers to bear the burden on their electricity bill. This is the impossible equation in which EDF is: to survive in its current form, it must. the subject until the end of 2020. Press Trust of India | New Delhi September 18, 2018 Activists and villagers raised their concerns over a proposed nuclear power plant in Chutka in Madhya Pradesh on Tuesday, saying it would destroy nature and take away their homeland. In 2009, Nuclear Power Corporation of India Ltd. (NPCIL) has decided to set up the atomic station in Mandla district of Madhya Pradesh to generate 1,400 MW power. Madhya Pradesh Power Generating Company Limited (MPPGCL) is the nodal agency to facilitate the execution of the project. The villagers claimed they have been protesting for the past nine years over the atomic power plant and when they did not relent, compensation was put into their accounts forcefully. “MPPGCL forcefully put the compensation amount in our bank accounts and took our Aadhaar copies from the bank. We have written to the bank to remove their money,” said Meera Bai, a resident of Chutka. Another resident, Dadu Lal Kudape, said they visited other villages where nuclear plants would be coming up and they found contaminated water and polluted environment. “We do not want the same things to happen to us,” he said. Padmini Ghosh, Women’s Regional Network India Coordinator, said if European countries are dismantling nuclear power plants, India is building them. “We need to review nuclear policy and install renewable energy plants,” Ghosh said. Raj Kumar Sinha, activist working with the villagers, said they are being exploited and no amount of money could compensate for their land. “These people are nature lovers. They can’t be bought with money,” he said. The Women’s Regional Network said a total of 17,000 people would be displaced if the plant comes up. covered by an environmental impact assessment (EIA), a judge has said. in Cardiff has been adjourned for seven days. billion of debt … and with nuclear,that is not finished! accidents, but also the financial risk that would weigh on EDF. would also be a major strategic mistake for EDF. Ars Technica 16thSept 2018 , Though economics might not favor nuclear power in the US, policy makers do. 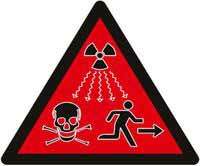 which would direct the DOE actually establish that fast neutron reactor. yet made it past a Senate vote. Toshiba in talks with Brookfield for U.K. nuclear unit sale: sources, Globe and Mail , REUTER, SEPTEMBER 18, 2018 Toshiba Corp is in talks with Canada’s Brookfield Asset Management Inc for the potential sale of its UK nuclear unit NuGen, a source familiar with the matter said on Tuesday. Brookfield has emerged as one of several new candidates since Korea Electric Power Corp (KEPCO) lost its preferred bidder status in July, said the source, who declined to be identified as the talks are private. The NuGen project in Moorside, northwest England, was expected to provide around 7 per cent of Britain’s electricity, but faced setbacks after Toshiba’s nuclear arm Westinghouse went bankrupt last year.